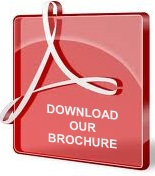 Chemistry Conferences welcome chemical professionals, researchers, professors, scientific communities, delegates, students, business professionals and executives from all over the world to attend the “12th International Conference and Exhibition on Materials Science and Chemistry” which is to be held during May 20-22, 2019 at Zurich, Switzerland which includes prompt Keynote presentations, Oral talks, Poster presentations and Exhibitions. 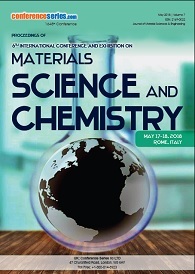 Materials Chemistry 2019 which is the primordial chemistry conferences serves as a global platform to discuss and learn about Material Science, Material Engineering, pharmaceutical materials chemistry, biomimetic chemistry, chemical syntheses, characterization and processing of novel materials, nanochemistry, applied materials chemistry, super conducting concepts, polymer chemistry, inorganic materials chemistry, organic materials chemistry, analytical materials chemistry, physical materials chemistry and other basic principles involved in Materials Chemistry. Conference Series LLC Ltd sincerely thanks all of our wonderful Speakers, Conference Attendees and Collaborators; Materials Chemistry 2018 Conference was our best ever! 6th International Conference and Exhibition on Materials Science and Chemistry hosted by Conference Series LLC Ltd was held during May 17-18, 2018 Rome, Italy at Holiday Inn Rome Aurelia, Rome, Italy with the theme “An Insight into the research aspects of Chemistry for the intuition of Materials Syntheses and Processing” which got splendid response. With the support and guidance of Organizing Committee Members and Editorial Board Members in the fields of Materials chemistry and materials science and astonishing presentations of all participants this prominent event became more impressive. Conference Series LLC Ltd would like to convey a great appreciation to following eminent people, honourable guests and Keynote speakers. Conference Series LLC Ltd extends its gratitude towards Poster Judge Dr. Lenaic Lartigue. We also congratulate our Best Poster awardees Dr. Mihai Sturza from IFW Dresden - Institute for Solid State Research, Germany and Mrs. Raquel Campos, Instituto Superior de Engenharia do Porto, Portugal for their outstanding performances in the field of Materials Chemistry and appreciate all the participants who had put their efforts in poster presentations and sincerely wish them success in future endeavours. Conference Series LLC Ltd offers its heartfelt thanks to Media Partners (G.I.T Laboratory Journal, Porous4App, Crowd Reviews and Copybook) and other eminent personalities who supported the conference by facilitating the discussion forums. Conference Series LLC Ltd also took privilege to felicitate the Keynote Speakers, Organizing Committee Members, Chairs and Co-chairs who supported this event. With sustainable excitement for grand success of Materials Chemistry 2018, Conference Series LLC Ltd is glad to announce next annual meeting 12th International Conference and Exhibition on Materials Science and Chemistry to be held during May 20-22, 2019 in Zurich, Switzerland with the theme “A Chemical Breakthrough for Materials Science Innovations”. Conference Series thanks to all of our wonderful Speakers, Conference Attendees and Sponsors; Materials Chemistry 2017 Conference was our best ever! 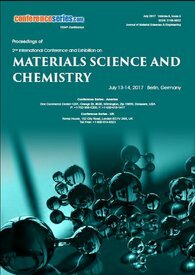 2nd International Conference and Exhibition on Materials Science and Chemistry hosted by Conference Series was held during July 13-14, 2017 Berlin, Germany at Golden Tulip Berlin - Hotel Hamburg, Berlin, Germany with the theme “Strategic Approach Leading to Unfolding Tactics in the World of Materials Chemistry” which got magnificent response. With the support and guidance of Organizing Committee Members and Editorial Board Members and astonishing presentations of all participants this prominent summit became more impressive. Conference Series would like to convey a great appreciation to following honourable guests and Keynote speakers. Conference Series thanks to all of our wonderful Speakers, Conference Attendees and Sponsors; Materials Chemistry 2016 Conference was our best ever! 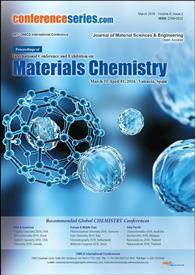 International Conference and Exhibition on Materials Chemistry hosted by Conference Series was held during March 31-April 01, 2016 Valencia, Spain at Melia Valencia Palacio De Congresos, Valencia, Spain with the theme “New Paradigm & Novel Access in the Areas of Materials Chemistry” which got magnificent response. With the support and guidance of Organizing Committee Members and Editorial Board Members and astonishing presentations of all participants this prominent summit became more impressive. Conference Series would like to convey a great appreciation to following honourable guests and Keynote speakers. Conference Series successfully organized 4th International Conference on Medicinal Chemistry & Computer Aided Drug Designing during November 02-04, 2015 at Atlanta, USA and received great and fruitful response. Eminent Scientists, Researchers, Pharmacists, Industry Professionals and scholar students has made their resplendent presence and addressed the gathering. The theme of the conference “Latest Innovations in Computational Drug Designing and Medicinal Chemistry: Up to the Minute”. Conference Series organised important exposition in the field of oil exploration and handling of oil resources all over the world. The conference took place during August 25-27, 2014 in the city of Philadelphia, Philadelphia in the midst of a large number of professionals from the energy sector. The conference attracted the research community, universities and Green Chemistry associations. 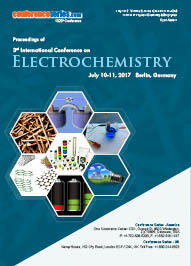 12 different tracks and 50 sessions were designed under the theme “Foster Advancements in Globalization of Green Chemistry”. All the sessions, poster presentations invigorated the conference. Conference Series thank all of our wonderful speakers, conference attendees and ad sponsor, Materials Science-2013 Conference was our best ever! The 2nd International Conference and Exhibition on Materials Science & Engineering, hosted by the OMICS Group was held during October 07-09, 2013 at Hampton Inn Tropicana, Las Vegas, USA with the theme “Emphasis on Interdisciplinary Science & Technological Shift, Contributing to the Development of New Materials". Benevolent response and active participation was received from the Editorial Board Members of OMICS Group Journals as well as from the scientists, engineers, researchers, students and leaders from the fields of Materials Science and Nanotechnology, who made this event successful. The conference had a wide variety of subjects so I learned a lot. Each of the presenters was an expert in their own field, so their explanations were very deep and professional. It is a most enjoyable conference. The talks cover a very wide range of topics and it’s really useful for students to hear the personal areas of their research. So I would encourage lots of students to come along as well as colleagues like myself who give come to give their talks and also contribute to the discussions afterwards. Programme both Day 1 and Day 2 coherent clear connections in presentations. Clearly thought about abstracts had been done. Lengths of talks were about right. Presentation of certificates varied the proceedings of the conference. Pleasant change from the intense concentration required during presentations. It is a pleasure for me to attend such kind of conference. Various fields of researchers from quite different fields have attended and give their talks of their research. The conference is very much stimulus for me and of course for all the attenders who had a very good experience. I was looking for a conference where Materials Science and Chemistry work together where interdisciplinary works and actions get assigned from various fields. I feel that this conference achieved that goal. All in all the conference worked out quite well. There were some brilliant keynote speakers giving fabulous speeches, particularly Prof. Rasing and Prof. Porfyrakis. I found the topics that were presented very interesting and I was able to connect with some delegates that may promise future collaborations. Many topics have been shown, it was very interesting. I would like to attend the next conference in Germany. I was impressed by the organization. The configuration of the program with the talks was very good. I can recommend these kind of conferences for other people. I was very impressed by many exciting talks by eminent researchers all over the world. I enjoyed the conference.